This was by far the most technical race I’ve ever done with terrible footing, huge climbs, and very cold temperatures. 44 runners started this race, only 23 finished. Fortunately, I was one of the finishers, coming in 30 minutes better than my goal at 35 1/2 hours. My time would have been much closer to the 36 hour cut-off if I didn’t have “drill sergeant” Tracy pacing me and another racer for the last 11 miles; she personally pushed us to come in 30 minutes ahead of schedule. This entry was posted in Mogollon Monster, Runs on September 29, 2013 by admin. Jim came into Washington Park aid station (mile 51) slightly ahead of schedule, whereupon we proceeded to obliterate that advantage in the next section leading to Hell’s Gate. It was brutal—rocky, which is not that big of a deal, but much of the trail was completely overgrown with tall thick grass, so it was not only hard to tell if we were going in the right direction (in the dark), but it also made for some precarious footing and lots of spastic acrobatics by me as I stepped in holes and tripped over rocks and roots that were hidden under the grass (or stepped on the grass with one foot and then tripped my other foot with it). That’s what pacers are for (in part) although I’m not sure I helped that much. There were also more climbs and descents than we expected, and Jim’s knee (IT band) was starting to bother him on the downhills. Nonetheless, we generally kept pace with the familiar faces in the pack, and made it to Hell’s Gate before 11:30 pm (the cut-off was 1:00 am). I then had to turn around and do it all over again, so I wanted to feel sorry for myself (freezing cold, dark, no one on the trail but me, my knee hurt, and now the tall grass was cold and wet and cutting my legs like razors), but then I thought of Jim, and his having to keep going all the way through the night, so I managed not to throw myself into a ravine. I did get lost a couple of times, and I didn’t get back to Washington Park until after 3:00 am, but the sky was clear and gorgeous and the stars were unbelievable, so once I knew which way I was going, I warmed up and made the best of the long solo. I got about an hour of sleep back at the hotel, and then found out early this morning that Richard and Jim never met up–Richard had been waiting for hours up on the rim, but I’m guessing he may have been to the west of where Jim came out from the climb up Myrtle Trail (after Hell’s Gate), and they missed each other (such a bummer for both of them). Nonetheless, when I checked with the radio guys at 3:30 am, Jim had already made it through Buck Springs aid station and was moving at a good pace towards Pinchot Cabin. I am heading up to Washington Park now to check progress and to meet him, and I expect him to hit mile 86 in about two hours. Jim is doing great so far. He hit mile 27.1 at around 1:30 pm Pacific time, which was about 30 minutes ahead of his anticipated schedule, and he was looking and feeling really good. He predicted himself to be running at the back of the pack, but was holding steady in the middle of the group, and looking a lot less wiped out than many of the other runners I saw coming in. He got up at 3:30 this morning (I got an extra 45 minutes’ sleep), and we were on the road by 4:40 heading to the race start at the Pine trailhead. I’m pretty sure Jim set the record for the largest and most visible “drop-bag” (i.e., a lime-green PVC storage vat), but he organized it so that he would need only one set of supplies, which would be taken to the aid-station at the Washington Park trailhead. The runners will pass through that aid station three times during the race–at miles 27, 51, and 86, and of course Jim prepared separate bags designated for each stop: food, gel, Gatorade, water, flashlights, batteries, socks, clothes…a masterpiece of ultra-run organization. It was cold—probably in the low 40s—at the start, but warmed up quickly, and Jim was pretty sweaty when I met him at mile 27. 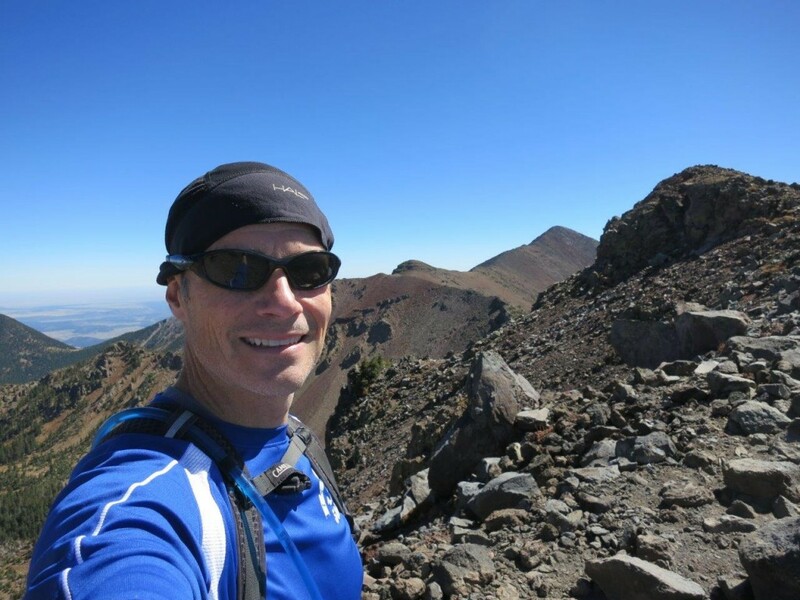 However, he was still well stocked with his electrolyte cocktail and other fuel, and even was able to help out another guy who had run out of water a few miles before the aid station by giving him his spare bottle. He’s doing a good job of keeping himself out of a deficit situation, and that (plus the good karma) should help stave off cramps and other misery later in the race. Jim will then continue down to Washington Park, where I will meet him again at mile 86, but I will try to log another update tonight when I get back to Payson after pacing Jim to Hell’s Gate. 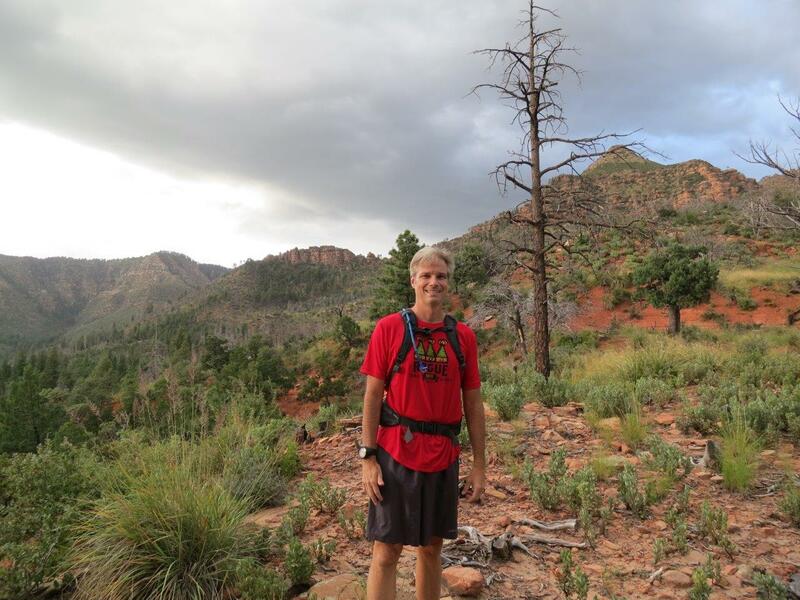 This entry was posted in Hikes, Mogollon Monster, Runs on September 28, 2013 by admin. Today, I drove to Phoenix to pick up Tracy. Her flight came in early enough that we were able to drive up to Washington Park for a short hike . Washington Park is a central spot on the race; runners pass through the park at miles 27, 51, and 86. 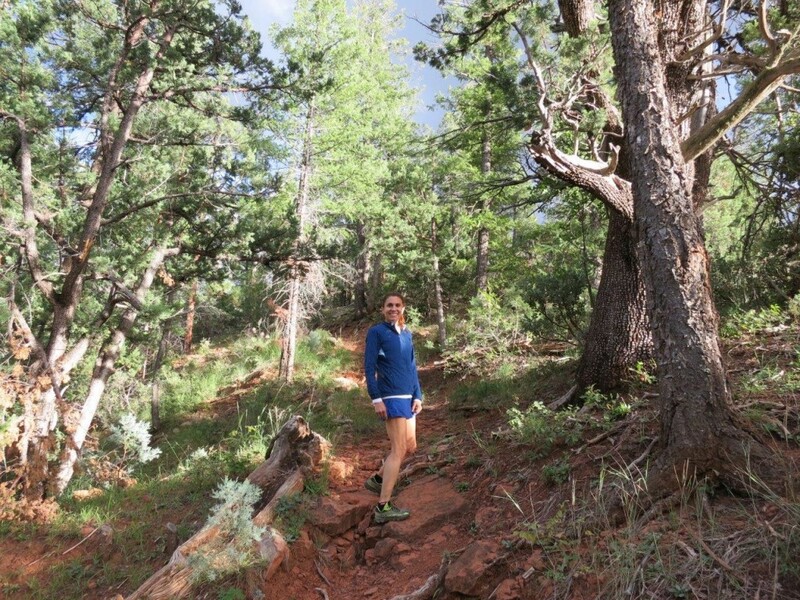 Since Tracy will be pacing me in the dark at 51 – 55 miles, she wanted to get a feel for the trail. Also, when I arrive in the morning again at the 86 mile mark, she will walk with me the remaining 20 miles to the finish. I’m thankful she will be there since I know how delirious I will be after going straight through for 36 hours. 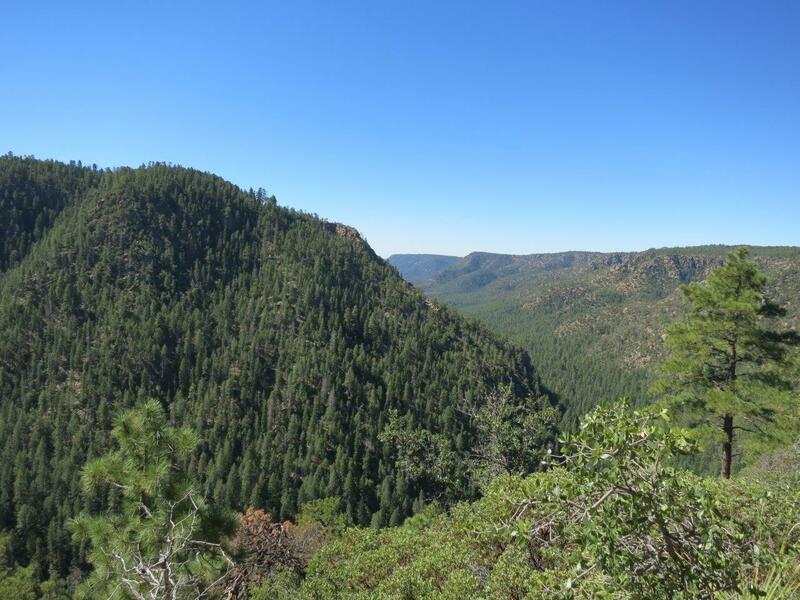 This entry was posted in Hikes, Mogollon Monster on September 26, 2013 by admin. Yesterday morning I left Payson around 7am and drove to Flagstaff. The drive was leisurely with a few laughs as I was listening to Howard Stern interview Richard Simmons. I stopped for breakfast at my favorite coffee shop. The weather was outstanding so I sat at an outside table and enjoyed the wonderful people watching that you can only get in Flagstaff. I made it to the base of Humphrey’s around 10:30am and parked in the Snowbowl parking lot. The plan for the day was to summit so I could build up some red blood cells at altitude. However, my personal agenda was to see if I could break my personal summit record that I set over 20 years ago. That record was 1 hour and 46 minutes from trailhead sign to summit sign. There was no Strava, GPS watches, or cell phones when I went to school, but that number has been burned into my brain. For my birthday, Tracy got me a new GPS watch, a Suunto Ambit. It’s really cool that will last up to 50 hours plus 100% of the features are controlled via a web interface. I had the watch charged and ready and pressed start. 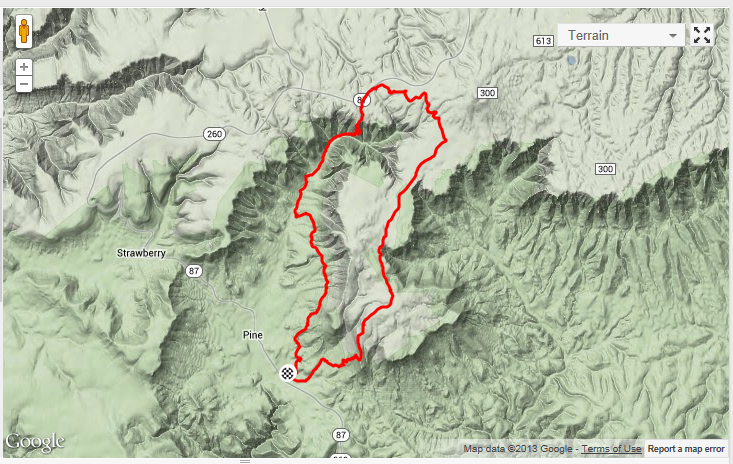 To make my goal, I needed to average about 2.9mph for the 5 miles up the 3000 foot climb. The climb is fairly easy during the approach but gets really steep when you near the saddle and beyond. For the first 45 minutes, I was averaging about 3.2mph so I thought I was in good shape. Once I neared the saddle, the reality of my pace hit me and I slowed to a crawl. The watch is set on 60s intervals, to save battery life, so winding up the switchbacks in some places shows me moving 10 feet in a minute. I kept pushing and once I cleared tree line, the cold breeze hit me and I took off. As I rounded the false summit, I looked down and saw that I only had 8 minutes to go and at the pace I was going, I wouldn’t make it. I hit the gas and with my legs trembling, I started to run in spots. As I sprinted to the crest, I looked down and saw I was at 1:44. With a final push, I passed the sign, pressed stop and came in 8 seconds short of 1:45. While this was my fastest, it’s only #5 on Strava, with #1 being 26 minutes faster than me (wow). After a quick snack at the summit, I started down and finished about 8 minutes longer than it took me going up. 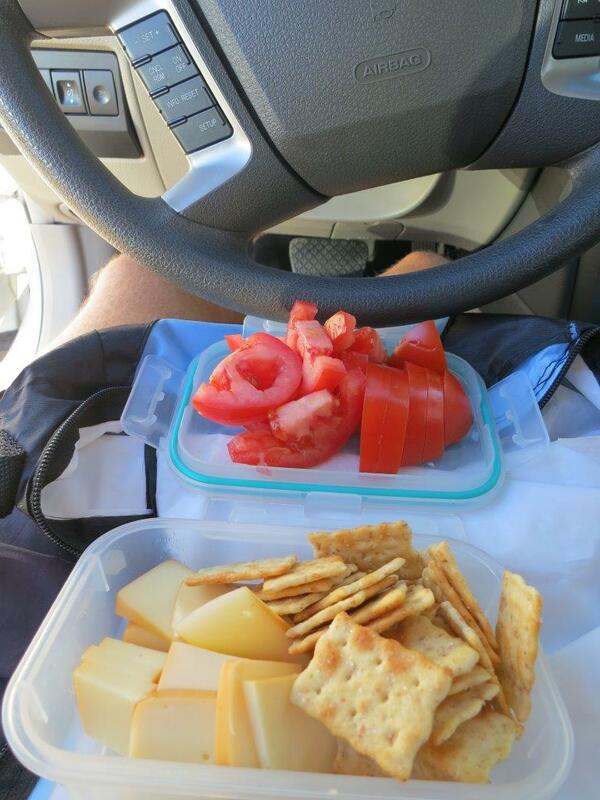 Once I hit the car, I cracked open the cooler and had a little picnic in the front seat. Today I plan on taking it easy and doing no hiking; just a little yoga and stretching. Tracy comes in tomorrow and we’ll do a short hike up the rim so she can acclimatize to the altitude. 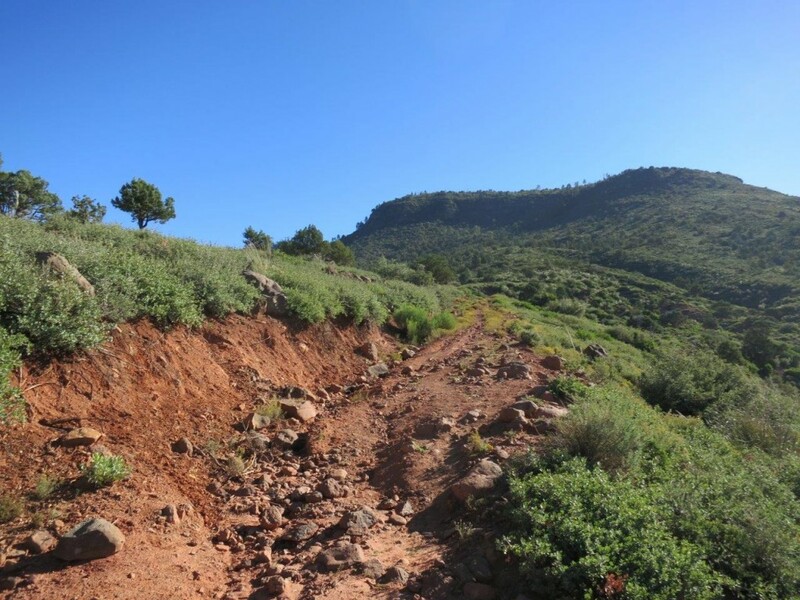 This entry was posted in Hikes, Mogollon Monster on September 25, 2013 by admin. The week has finally arrived. On Saturday at 6am Arizona time, I will embark on a 106 mile race. Race is not the right word since my only goal is to finish under the 36 hour cutoff. I landed in Phoenix yesterday and drove to Payson, which is the only major “city” near the start line. It’s about 15 minutes south of the trailhead. The plan is for me to wonder the trails for the next couple days to make sure I get a feel for the pace and places I may need drop items. (Course map: mogollon_monster) Tracy flies in on Thursday and will pace me several times during the race. It will be so nice to have her with me this time. Today I arrived at the starting trailhead around 8am and did a 20 mile loop (just walking) that traced the first 13 miles of the race and the last 5. The extra 2 are not on the course, but offered a convenient shortcut. I included a few pictures and the summary of the hike. Only about 1/3 of the first 8 miles is runnable. I’ll need to take it easy until I get up on the rim where the course follows a forest service road. I should be able to move along at a good clip. I’m a bit worried about my back. I’ve been having issues with the left side, but a week ago Sunday my right side started hurting when I was running flats or downhill. It cramps up anytime I stop moving. It behaved OK today which is encouraging, but I’m doing a lot of yoga, stretching, and rolling on the ball to keep the pain away. The plan tomorrow is to drive to Flagstaff and after breakfast at Macy’s Café, I’m going to summit Humphrey’s Peak. 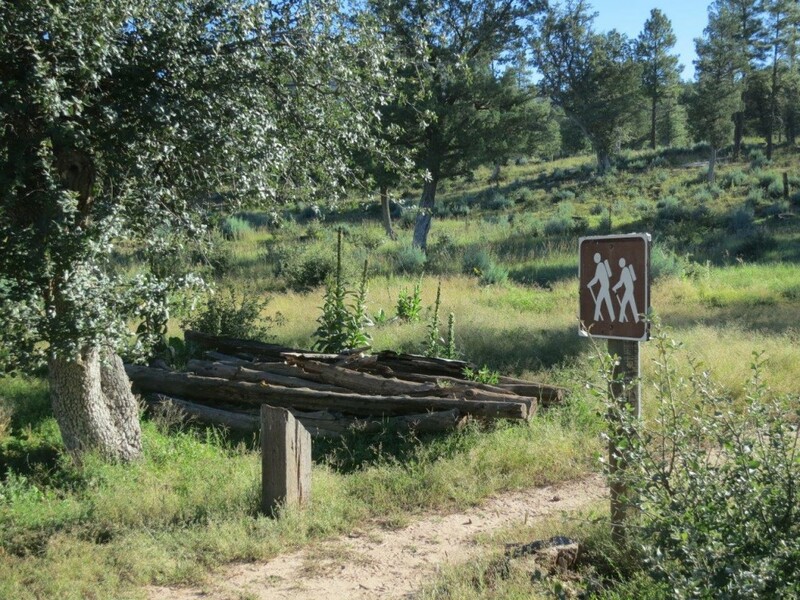 This entry was posted in Hikes, Mogollon Monster on September 23, 2013 by admin. 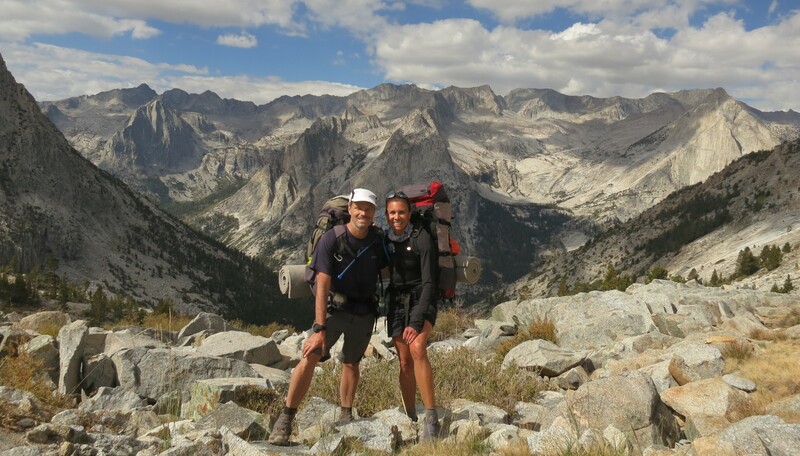 It’s been two weeks since returning from the John Muir Trail trip. I’ve been busy unpacking, cleaning up, doing some odd jobs around the house, and training for the 106 mile Mogollon Monster which is less that 2 weeks away. The plan is that I will fly to Phoenix on Sunday the 22nd; Tracy will come out on the following Thursday. My goal is to spend the week walking the different parts of the course to make sure that I know the twists and turns of the course. 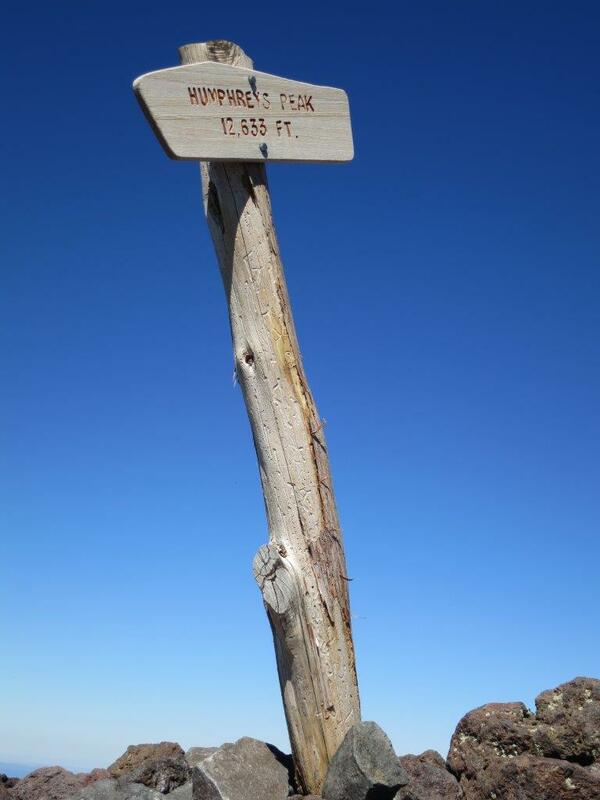 I also plan on heading to Flagstaff early in the week to get some altitude on Humphreys Peak. I created a 16 minute video of the pictures and movies I took doing the hike. The link is below if you’d like to watch it. Also, I’ve been asked by several people for the raw pictures from the trip. I added the link to the album below the video. This entry was posted in JMT Trip on September 15, 2013 by admin.